When sharing my situation with editor Ronnie Tucker, we ended up having a discussion on whether or not Ubuntu Touch would be replacing Android for us. Ronnie was sceptical about it, while I was fairly open to the idea. Long story short, I decided to write up my opinions on why Ubuntu Touch could be interesting to mobile users, and why it might not manage to lure you away from Android. I will be ignoring any other mobile operating systems, as Ubuntu Touch can, at least for the moment, be installed on only Android devices. For those of you who were expecting my typical how-to articles: they should be back as of the next issue! The ability to dock to a keyboard, mouse and screen for a full Ubuntu desktop experience (similar to Ubuntu for Android). The ability to seamlessly move work between devices (phone, tablet, TV, desktop). Utilize the entire screen space (accomplished by utilizing swiping in from edges, and hiding the interface buttons and options until required). A lock screen that is “tailored to you”. Essentially, the lock screen should display information relevant to you based on your frequent tasks. Minimize steps in order to get to the apps you want. For example, the app tray is revealed by swiping in from the left side, regardless of where you are (even on the lock screen), allowing you to jump straight into the application, instead of having to first unlock and then locate the launcher for the app. Ability to run phone apps (such as texting/chatting) alongside tablet apps (media applications, video chat, etc.). This is available only for the larger screen sizes, but appeals greatly to me, who is an avid tiling window manager user. There are, of course, many other features too. However, these are the ones that had me nodding along in agreement when they were presented. What's Keeping You on Android? I used an Asus Transformer TF101 for a good couple of years, and only recently replaced it with a Google Nexus 7. While I mainly used either device for productive tasks (checking email, testing websites, reading articles or books, and, occasionally, for writing up notes/articles), I did occasionally enjoy a game or two. Productivity tasks should be as easily accomplished on Ubuntu Touch as on any Ubuntu desktop, or any Android device. The “problem” lies with those apps that occupy roles we wouldn't usually associate with desktops. This includes touchscreen-based games (for example, the Simpsons Tapped Out, Draw Something, or anything of the sort), and any productivity apps that were developed with a touchscreen device in mind. Due to the fact that Ubuntu Touch is aiming to offer desktop applications which can be found in Ubuntu on a mobile device, many applications geared towards the mobile will probably be more error-prone when the first devices are released. This is simply due to the fact that Ubuntu Touch is new, while Android has been around for a number of years now. As such, some apps are more matured, and could very well cause some adopters to hesitate before looking for alternatives in Ubuntu. Canonical is trying to improve this situation by integrating small-screen support into their API, in the hopes that developers will start adding support for Ubuntu Touch long before the stable release. Ultimately, you can't do anything besides waiting for the release before deciding whether or not it's worth it. Do you have any Android apps you don't think you could live without? Doesn't Ubuntu Touch Use Android? Ubuntu Touch is based off CyanogenMod 10.1 (jelly bean). However, besides the device support, and the system with which Ubuntu is flashed/booted, there isn't a lot left of the ROM. Ubuntu itself is being run from a chroot environment the moment all device drivers are loaded from the Android framework. The reasoning for this, I imagine, is that it enables wider support for devices, and avoids the need to write new drivers for every piece of hardware. I don't see a lot of potential downsides with this method. 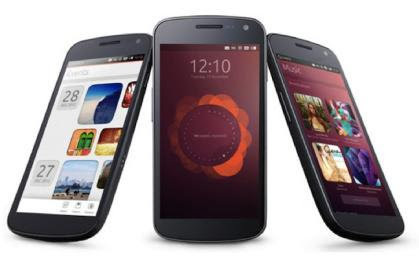 Does Ubuntu Touch Have a Future? I think it most definitely will continue to be developed. If the speed with which the developer preview was ported to different devices is any indicator, it may grow very, very quickly. I doubt it will replace Android, just as Web OS, Windows Phone and iOS failed to eliminate other mobile OSes. It will probably carve out a market share for itself, and be especially interesting to businesses. The reason for this is the fact that, once enough phones meet the requirements, Ubuntu Touch can easily be used as a desktop (with the correct docking tools). It will probably appeal to those companies who are currently assigning each employee a work phone, a work laptop, and/or a work tablet. With Ubuntu Touch, you could issue a phone and a dock, and simply fill your offices with docks, keyboards, mice and monitors. How feasible this is depends entirely on the actual implementation of this desktop feature in the final product. There is little anyone can say for certain. However, knowing FOSS development, we'll be sure to see rapid progress as we approach the estimated late 2013/early 2014 release date for Ubuntu Touch devices. The basic premise, and the features Canonical is trying to integrate, are both things I am extremely interested in. If they can pull it off, I will definitely be giving the Ubuntu devices a fair chance. I am highly impressed reading about Ubuntu Touch over your blog! Thanks!